Linda Reynolds and team are here to assist every step of the way when buying or selling a home in the Parrish Florida area. No matter your current Real Estate situation: buying, selling, relocating, down sizing, up sizing, liquidating, first time home buyer, seasoned home seller and everything else in between our services are custom fit to your specific needs...we are here to help you however we can. Our intention and driving principle is to treat you, the client, the way we would like to be treated if we were the clients and you were the real estate agent. Please feel free to set up your custom property search, and if you see something you like, let us know! we can schedule a showing for you at your earliest convenience! "This was my first time selling a home and I had to do it from out of state. She made the process easy and I was able to get my home sold fast so I can begin my new life in New England." Divorce is a stressful and emotional time for any couple. However, there are things every divorcing couple should know before selling a home. You’re about to face hard decisions that must be made - some are easy - some are not. However, working through these decisions before putting your house on the market is key to a successful transaction. Your first decision will likely be whether one of you will keep the home and “buy out” the other half. If this is the case, one of you will likely refinance the home. If you plan to use this option, you would be best advised to consult an attorney. They can help you iron out the details in a way that keeps unnecessary pain at bay. Another choice is to sell the house and split the profits. Many couples choose this option, preferring to receive their portion, if any, at close of escrow. 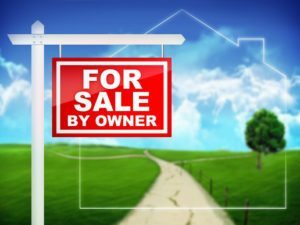 If you plan to sell the house, you will want to work with a real estate agent who understands, and can handle, the pressure that sometimes arises when selling a home during a divorce. This can’t be emphasized enough. You will want a competent and experienced REALTOR® who can handle tough situations. It’s imperative that both of you trust this REALTOR® and that they’re willing to work with both of your attorneys if necessary. You will want a REALTOR® who is professional enough to represent both of you with no favoritism. They need to be 100% impartial and create an atmosphere of trust with both of you. Your mortgage is likely dependent on both of your incomes, and you probably qualified using both of your incomes as proof of your ability to pay the mortgage. Even if one of you hopes to keep the house, you have to factor in the mortgage, property taxes, insurance, and ongoing maintenance of the property. Consider any other costs that may apply in your particular situation. Now more than ever, you need to rationally consider if either of you can afford to keep the house. If so, determine the realistic costs associated with paying the mortgage and additional expenses. Please keep in mind that their can be tax ramifications that should be discussed with an accountant or an attorney. This is not a win/lose situation. Please do the math and make sure you can afford to keep the house if you both agree to your doing so. In all real estate transactions, it’s important to remove emotions from the table. This is no different. In fact, if this isn’t the first blog post you have searched on the subject, you will not be surprised to hear this --- stay calm and avoid heated exchanges. More than ever, you will need to keep your emotions in check. There are many memories in this home – some are good and some aren’t good memories. There are closing costs you may not be aware of. Again, a competent real estate agent will make sure that you understand the closing costs so there are no surprises down the road and especially at the closing table. Some of these costs include, but are not limited to, transfer tax fees, attorney fees, property taxes, and real estate commission. Please feel free to contact me at (941)737-6562 if you are looking for a real estate agent to sell your home and have any questions at all. With oil and natural gas prices rocketing, stoking terror of long, cold and and expensive winters, a renewed interest in keeping heating costs under control has has been sparked. Homeowner's have an ignited passion in understanding energy saving methods. If you're in this boat, stuck in cold waters, here are some tips for energy saving tricks of the trade. If you're living in a home with a furnace that's more than 20 years old, you may have already attempted the "buy a sweater" method of keeping warm. 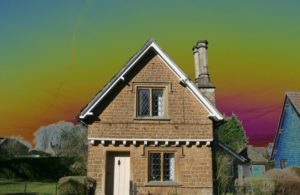 This is certainly one approach, but these days upgrading your home's conditioning system is a much better option, and will bode well for you in the here and now, and in the long term, should you decide sell your home. More and more, homebuyers are looking for homes with energy efficient systems already in place. So, think of these upgrades as a long term investment in the resale value of your home, as well a cost efficient and green alternative to your current conditioning system. Now, with that old choker of a furnace huffin' and puffin' away, guaranteed it's not as efficient as it could be, no matter what fuel type it uses. The newer gas furnaces are mid-efficiency (78-82%) or high efficiency (89-96%). Although the higher efficiency products can cost up to $1000 more than the mid-efficiency products, extra costs will be re-couped in a couple years, as they will burn less fuel. And, you'll be the greenest frog on the block, sending less harmful emissions out into the atmosphere. "It's so easy being green", murmured Kermit, once he upgraded his furnace. With oil furnaces, there are again, much more efficient products on the market as of late. But, a oil furnace does need to partner with a good chimney, and so this may be an additional cost to keep in mind Take note, it's still the case that electric heat is more expensive than oil and gas, although a smart combination of central woodstove heat, supplemented by electric heat can be cost efficient. Change Your Filters! Whether disposable or washable, all forced-air heating/cooling systems use filters. And, these filters need to be maintained and changed. Some filters require monthly changes while other last up to three months, and much depends on the conditions within your home. A dirty filter will restrict air flow and with clogged filters you're blocking heat that would otherwise be keeping you toasty warm. Do yourself a favor and keep on top of the regular changing of your heat filters. This is a pretty easy way to boost your energy efficiency and cut costs. Pump it up: Install a Heat Pump Air source heat pumps are the most common and they are generally used with a back-up heating system. In terms of function a heat pump works by extracting heat from the outside and bringing it in, (in heat mode), and by removing heat from the inside of the house and releasing it outside. ( in cooling mode). You Can Change the Course! If you feel like shifting economic winds have not been in your favor lately, you are in good company. More than 6 million homeowners nationwide are in some stage of foreclosure. If this is the case with you or someone you care about, you are all too aware of the stress and uncertainty that accompanies notices of default, unwanted phone calls and offers of help that turn out to be no help at all. The fact is, the last thing your bank wants is to foreclose on your home. Banks are willing to negotiate, and you need someone on your side who is adept at negotiating with banks. As a real estate professional who has earned the Certified Distressed Property Expert (CDPE) designation, I am tapped into the best solutions for helping financially distressed homeowners to make a fresh start. Contact me today and let's get started! Trust me. Cluttered closets is a big turn off to potential buyers. Not only does it give the impression that the house isn't cared for, but it makes it seem like there's not enough room. So, organize, organize, and organize. And you'll love it while you're still living in the house. They're not just pretty or trendy - use mirrors to make your home seem bigger. A huge strategically placed mirror amplifies light brightening up a drab and small room. Whether it's a huge mirror over your fireplace, mirrored closet doors, or a wall of mirrors - they all add the illusion of space. Besides, they add a touch of elegance, too! If you want to make a small home seem bigger, pushing the furniture against your walls is not a good idea. If you want the space to seem larger, move your furniture away from the wall. Just a few inches will do the trick. If you have a tiny kitchen, open it up by using built-ins to your advantage where you can. Nothing screams tiny kitchen or tiny home more than a cluttered counter – even if it’s usable appliances. One of the first things buyers notice, aside from curb appeal is whether there is plenty of storage. This could put a small home at a disadvantage. Show them how doable it is with dual-purpose furniture, such as an ottoman with storage inside, or a coffee table with additional storage or even a desk built in to the coffee table. Believe me… they’re out there. Whether you want to sell a small home or purchase a smaller home to downsize, contact me. I’ll be happy to show you what’s available in the Ruskin area. The 10 most livable and most affordable real estate metro areas in the United States have a number of other favorable characteristics in common, according to a new HouseHunt “Current Real Estate Market Conditions” survey conducted by HouseHunt, Inc., a consumer-oriented Internet firm that provides free information to thousands of homeowners, home buyers and home sellers across the nation. • The majority of the 10 metro areas report balanced, good-to-active housing markets with sellers usually getting 95% or more of their asking prices. Inventories of unsold homes are mostly limited. • The majority of the 10 metro areas are experiencing strong job and population growth and good economic news. They offer quality lifestyles, good schools and solid family recreation along with other amenities. Sales data shows that many recent home buyers are relocating from other, often more costly areas. • All 10 metro markets are attracting both first-time and move-up buyers because of affordable prices, low mortgage interest rates and multiple financing options. • Median real estate prices for existing single-family homes in the 10 metro areas range between $130,100 and $194,400, compared to the national median real estate price of $188,800. Four of the 10 areas reported double-digit price appreciation in the past 12 months. • All 10 metro areas have major universities located there. Four of the 10 metro areas – Tampa-St. Petersburg-Clearwater, Raleigh-Durham-Chapel Hill, Nashville and Austin-San Marcos – are also listed in the latest edition of Lee and Saralee Rosenberg’s “50 Fabulous Places To Raise Your Family” (Melissa Giovagnoli). Like Savageau, the authors give high marks for schools, jobs and business opportunities, family fun, housing affordability, living costs, climate, health care, transportation and quality of life. “With all the negative news about spiking home prices and the widening affordability gap, it’s refreshing to find highly desirable metro areas where most buyers can find affordable homes,” said Michael Bearden, president and CEO of HouseHunt, Inc. Looking to buy a home? Start your search here and have listings emailed right to you as soon as they hit the market. 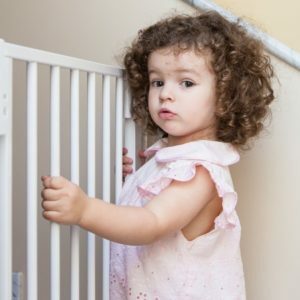 Whether you or your guests have children, it’s essential to baby-proof your home. Not only will it put your mind at ease, but it will go a long way to put your guests mind at ease as well. Here’s a few strategies to make your home safer for yourself and others. Here’s a few strategies to make your home safer for yourself and others. When you begin to baby-proof your home, look at the #1 enemy – outlets! They’re at eye level for a crawling baby and spell danger to tiny fingers. So, you must invest in outlet covers. They can even be bought at the 99 cent store. If you’re using multi-socket power strips, cover them as well (better yet – elevate them to where the little one’s can’t reach them). If your youngest child or visitors can reach knobs or buttons on appliances, they can turn on the burners. Purchase stove knob covers for around $10 – the peace of mind is worth it. Some rooms simply can’t be baby-proofed, so make them baby-free zones. Use baby gates and doorknob covers for unlocked rooms. The goal is to make your off-limit rooms inaccessible to any little ones who could hurt themselves once they get in. Babies fall, and when they try to sit upright, they grab anything within their reach including a bookshelf, floor lamp, or entertainment center. Is there anything that could tumble down on a child? Even decorative pieces in your home that are on top of a shelf could seriously injure a small child if it fell. Curtain blind cords and power cords can cause serious tragedies. A child can become entangled or even strangled if they get tangled up with cords. So, tie them up so that they’re too high for a baby or child to reach from the floor, a chair or stool, anything they can stand on, or their bed. Babies put anything in their mouths without understanding the dangers involved, which include medications, chemicals, or anything they could choke on. Get down to their level and look for anything dangerous that could catch their eye. If you’re looking for a home to raise your children in, I can help! Contact me and I can show you homes in the area. 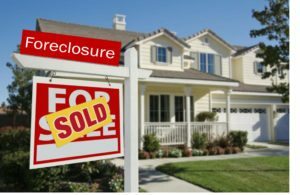 Bank foreclosure real estate, also referred to as REOs (Real Estate Owned), is foreclosed real estate that is owned by the bank due to an unsuccessful foreclosure auction. There are several reasons the home may have not sold at the auction. The most common reason is negative equity- the bank foreclosure real estate is worth less than the amount owed to the bank. Of course, the bank seeks to receive the outstanding balance of the original loan; therefore, the minimum bid for the bank foreclosure real estate is usually the amount of the outstanding balance of the original loan, plus interest and any additional fees. No smart investor or buyer will consider bidding on such a property. Nevertheless, an unsuccessful sale will not stop the bank from trying to make an attempt to get the bank foreclosure real estate sold. The bank will consider removing some or all liens and fees on the bank foreclosure real estate in order to get it on the real estate market and resell it to the public. The resell process may be retrying an auction or working through a Realtor. This is a hot market for real estate investors. Real Estate investors take an eager interest in bank foreclosure real estate property. 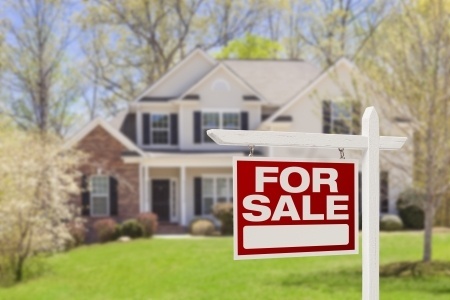 The market of foreclosed homes may be large; but, not always suitable for some investors. The foreclosed property may not meet some important needs. Nowadays home buyers and investors alike are scrambling through the market of bank foreclosure real estate looking for better deals. Though, most bank foreclosure real estate property is in poor condition, the low sale price of the home highly compensates for the property poor condition. Investing in bank foreclosure real estate property offers a great return for investors. Bank foreclosure real estate by far offers greater deals than typical foreclosed homes. As an investor you must consider all your options. Make sure you get the bank foreclosure real estate property at the best price. Hopefully, the bank foreclosure real estate that an investor chooses to invest in will give the investor rewards; such as a larger return in profit, either through renting the home out or through selling the home. There are several ways to search for bank foreclosure real estate property. You can search the Internet, magazines, and newspaper listings. The Internet can lead you to thousands maybe millions of connections. Here you can view listing by state, banks, county, and much more. You should also invest time in finding a good real estate agent. If they know what you are looking for, they can save you a lot of time and work. They can also help you determine the true market value of the home you are considering investing in. So you’ve seen your umpteenth infomercial with the guy in his neatly pressed button-upped white T-Shirt grinning ear to ear waving his rock-solid no-money-down rags-to-riches real estate investment course for 3 easy payments of a gazillion dollars (but only if you call now) and now you are thinking, "wow this looks like a great deal, I better get it fast before the special offer expires." You notice how there’s always a special offer? Anyway, I am not saying this guy isn’t telling the truth, however regardless of which course or school of thought you buy into there are several key areas that one must avoid when playing in the real estate game. Pitfall Number 1: Don’t Overpay! The whole point in investing is to find properties that are undervalued. How does one find out what is undervalued versus overvalued? Without getting into technical details, the bottom line is you need experience. Yes much like shopping for anything else, real estate is essentially one of the highest ticket items in the shopping center of life. It’s advisable to stick with one market, perhaps the one closest to you in proximity as a starting off point. Through your experience and asking the right questions, you will eventually have a feel for the pulse of the market you are looking after, and of course identify what is considered a good buy. Pitfall Number 2: Know the Market Yes, you are actually going to have to do more work! This part is really common sense though, but executing it where the beauty and the payoff comes in. 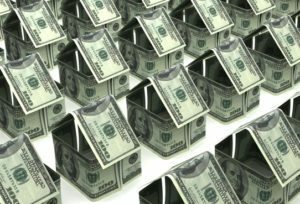 How do you make money in real estate? The most basic way is to buy low and sell high. So from the first step, you have identified general trends in the value of homes, and are pretty good at spotting undervalued homes. Assuming you acquire that home, you may want to profit from it by selling it off to someone else for a higher price. How can you do this? Well there are many ways. For one, most markets appreciate in value over time so if you want a longer term approach that will work. Making upgrades to the property will automatically raise the price of the home as well. Think in terms of what the market wants, not what you personally want. You aren’t the one buying it; you are trying to sell it to someone else for a higher price than you bought it. Pitfall Number 3: Know Your Budget It may be a fine philosophy to go through life on a whim, but real estate is serious business, and thus diligent financial planning and budgeting is critical to your success. Don’t worry you don’t need to be a finance geek, however you need to be disciplined and know your budget from the onset, or you may be finding you are learning that you need to make certain renovations or upgrades, and didn’t anticipate it going over to a certain cost. Think ahead as to what is needed before actually going forth with investing in real estate. I just got my yearly reminder to go check my credit report and make sure everything is correct. This is a step that needs to be done prior to applying for a mortgage. 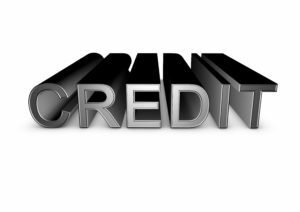 You always want to make sure the errors are corrected and you know exactly what should and should not be on that credit report. Having your finances in line is a very important first step in the buying process. So go and make sure your credit report is correct, you never know when you might find that next dream home! Get Your Equifax Credit Report Now!